That's crowd size. Better clear that up because a good percentage of MLS players make between those numbers in salary. Portland's win over Philadelphia has generated slightly anomalous data. All year we've seen teams with positive Goal Difference in the top half of the True Table. 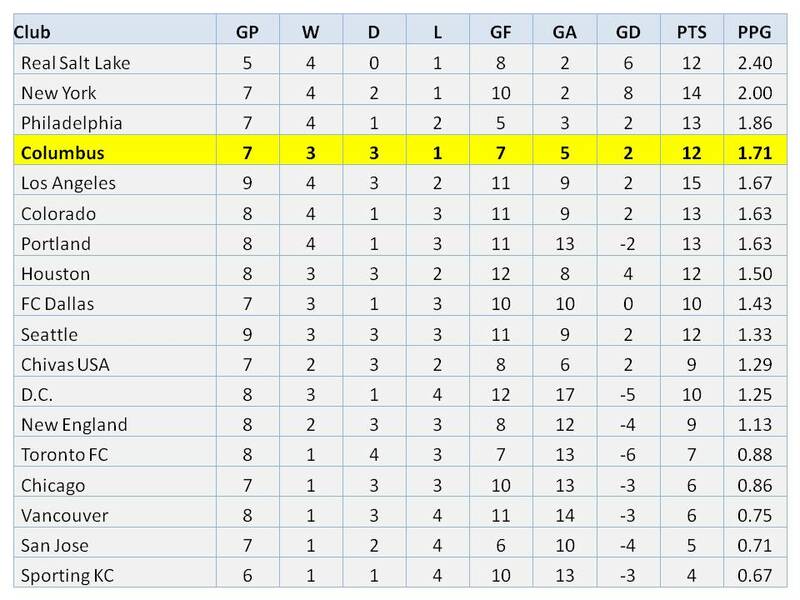 If you take a look at it now, after last nights game, you notice the Timbers have a -2 GD. 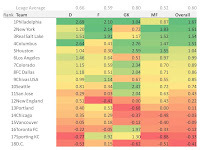 Jumping 4 teams with better (and positive) GD on the True Table is strange. It usually points to inconsistent play. 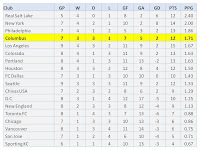 Here is what the EPL True Table looks like as of this morning. 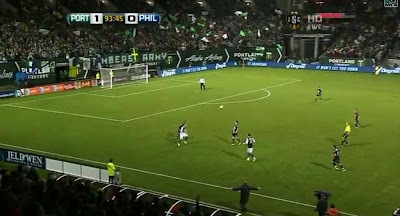 Me thinks it may have to do with Home Field in the case with Portland (and the Union traveling cross country). Folks at other networks had to of taken notice of the atmosphere during last nights game. What a good win for Portland. The crowd was creative and they sounded just as loud as what I hear at some Arsenal games. In staying consistent with my scoring system you can see in my Team Power rankings color map how things shake out by Team and Position. 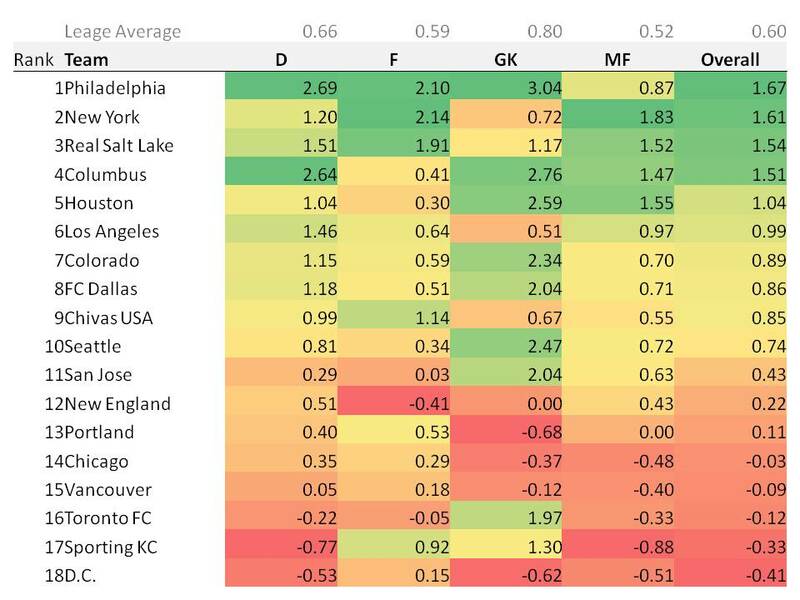 Philadelphia Union are still at the top and Portland is below league average at every spot. Again... big win for Portland. Here are my top 5 players for the Timbers. Kenny cracks the top 20 at 16th overall and Jack Jewsbury is 24th.